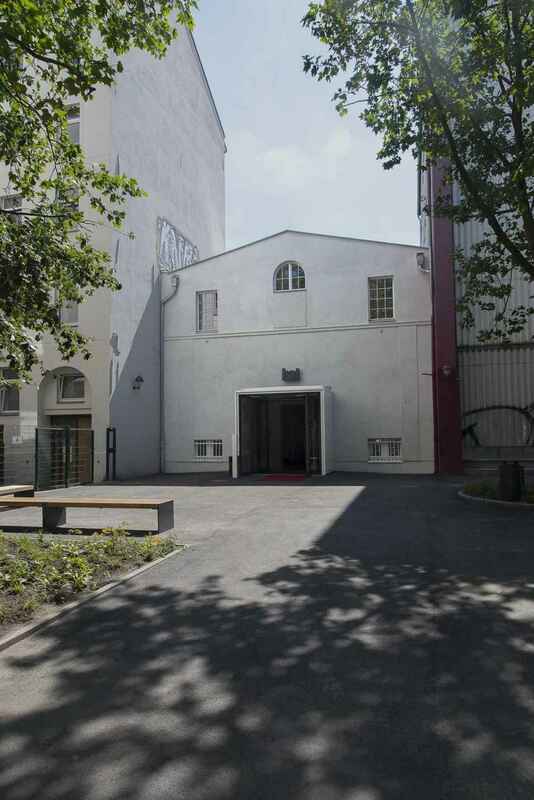 The present studio theatre of the Hochschule für Schauspielkunst Ernst Busch (Ernst Busch Academy of Dramatic Art) was built between 1887 and 1889 as a dance hall and from 1913 to 1920 served as a backyard cinema known as the ROXY. The bombing during the Second World Ward exposed the interior of the block, revealing an ensemble that is today a listed monument. 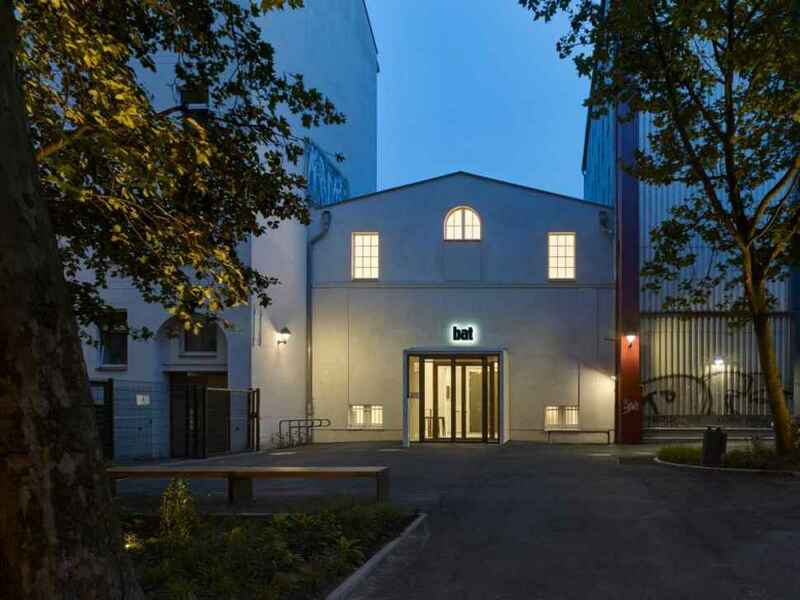 At the beginning of the 1960s the founding of the Berliner Arbeiter- und Studententheater, generally known as bat for short, created the basis for today’s experiment space. In 1963 Wolf Biermann and Brigitte Soubeyran wanted to open the theatre with the premiere of Berliner Brautgang, but the way in which this piece deals with the erection of the Berlin Wall met with political disapproval and ultimately led to the theatre being closed before the first performance. It later became what is now the Ernst Busch Academy of Dramatic Art and developed into a space for teaching and experiment. 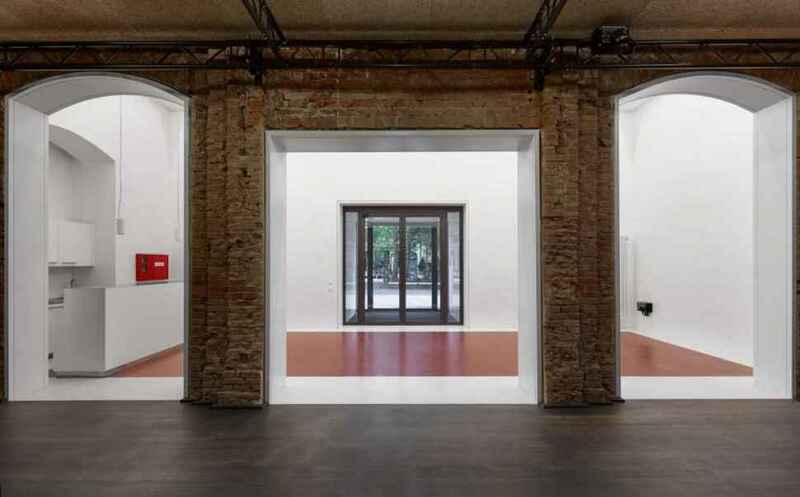 For a long time the character of these spaces had been determined by rebuilding works carried out in the 1960s. The design by O&O therefore envisages the creation of more open space and flexibility by removing unnecessary boundaries. 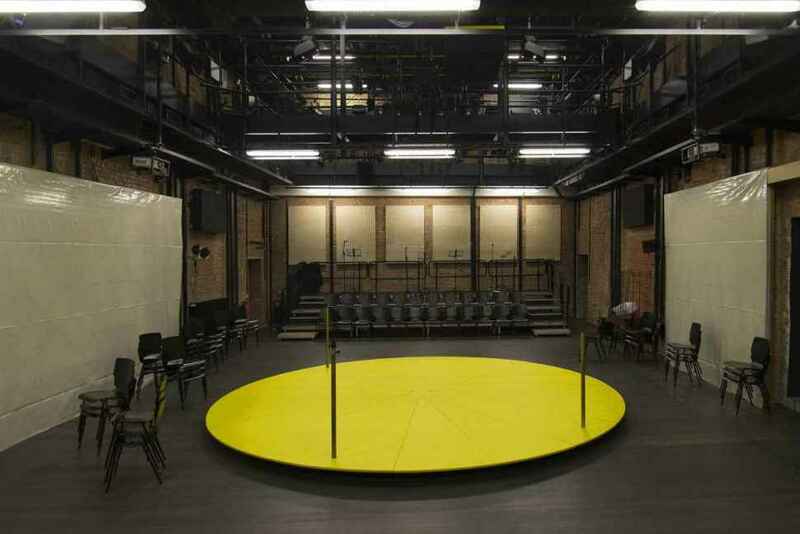 The new spatial sequence incorporates the working life of the theatre both functionally and in spatial terms. 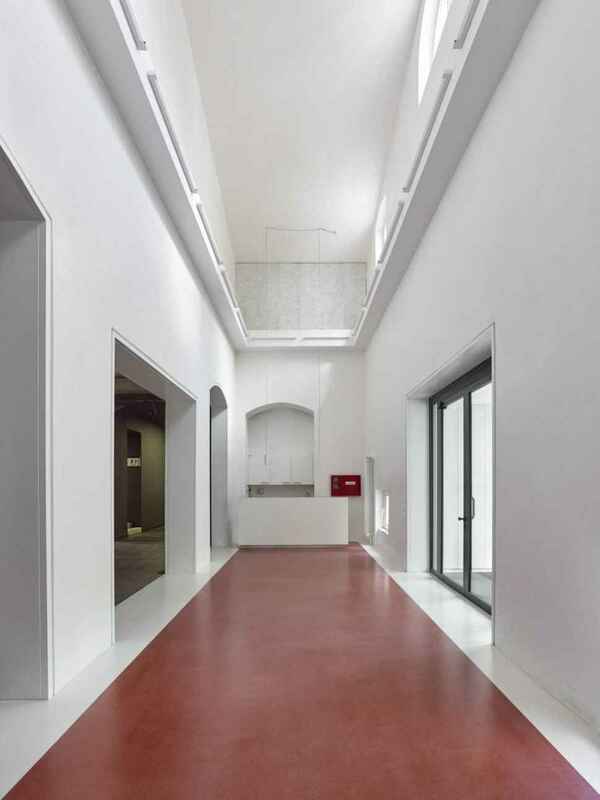 Together the reorganised entrance situation and the large foyer with its restrained white surfaces and red screed floor prepare for the studio stage in an appropriate way. 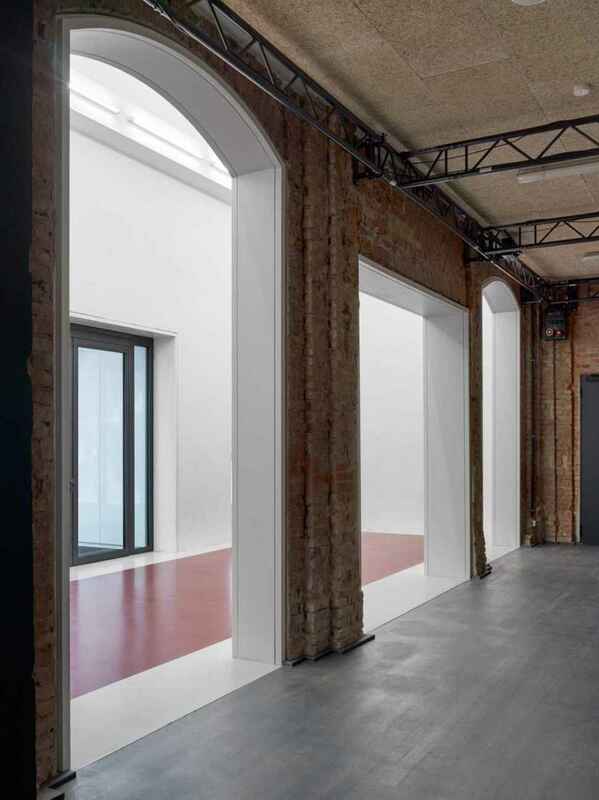 Through the materials used the second foyer provides a transition to the studio stage, which is made as a black box. The students can adapt the fittings flexibly, they can use the stage equipment themselves and operate it from the theatre space. 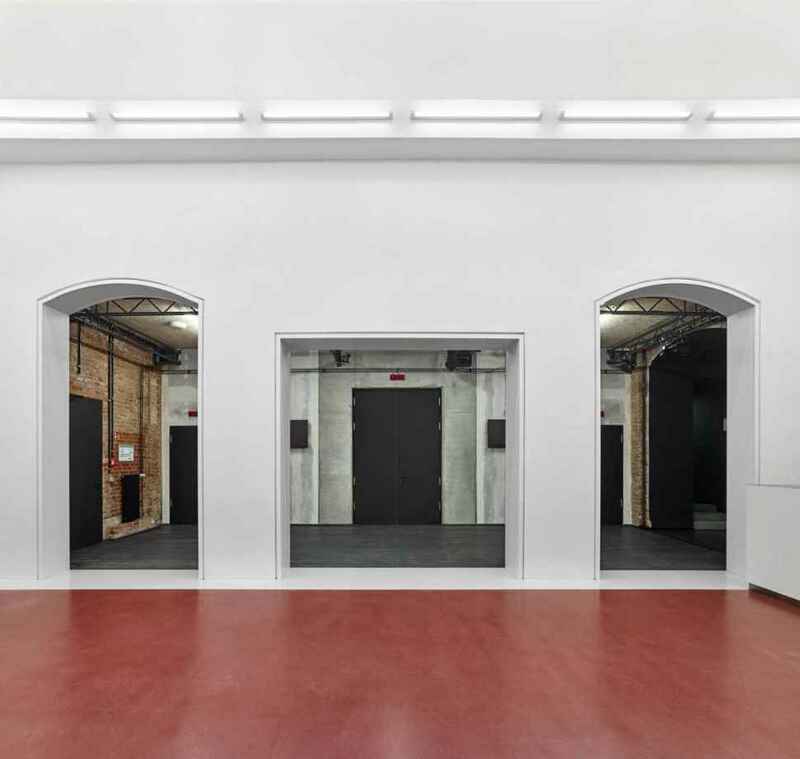 The red brick walls were stripped of plaster and now offer both hard-wearing display surfaces and a background for performances.